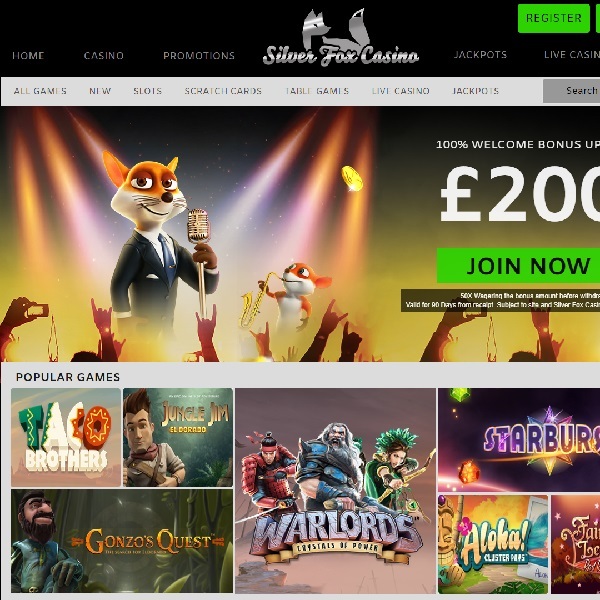 If you like your gaming to be as quick as a fox and you consider your strategies to be as sly as one then take a look at the brand new Silver Fox Casino. The casino is host to games from numerous developers including Net Entertainment, Microgaming, NextGen Gaming, 1x2gaming and more. The games have been divided into slots, scratch cards, table games, a live casino and jackpot games. Each category is packed with choice and there is more than enough on offer to satisfy every type of player. New members are offered a 100% first deposit bonus of up to £200 and there are then numerous bonuses and promotions to enjoy as well as a lucrative VIP scheme. The casino has been licensed in Malta and the United Kingdom and offers customer support via live chat and email.